Pale amber salmon color. Aromas of apricot, prickly pear, and plastic wrapped grape bunch with a round, crisp, spritzy, sweet light body and a seamless, buoyant peach iced tea finish with no oak flavor. A blush sparkler that will be well-received by sweet tooths. Bottom Line: A blush sparkler that will be well-received by sweet tooths. 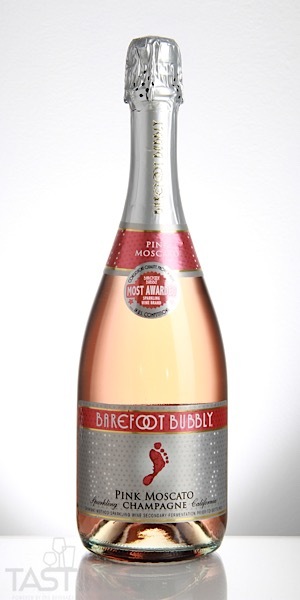 Barefoot Bubbly NV Sparkling Pink Moscato , California rating was calculated by tastings.com to be 85 points out of 100 on 9/21/2018. Please note that MSRP may have changed since the date of our review.